Knowledge is a virtue. 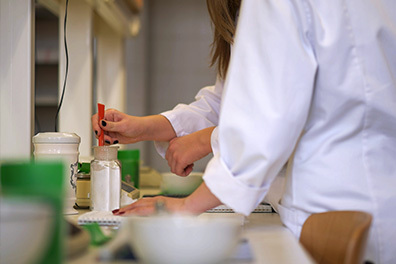 The mission of the University of Szeged is to provide its students with the best opportunities to make use of their knowledge, and talent, and to be successful in their chosen fields. The university is a modern, integrated institution, its power lies in its diversity and the wide range of possibilities offered for its students. The institution offers high quality education in various fields of studies including healthcare, economy, law, natural sciences, teacher training and various programs in agriculture, engineering and art. 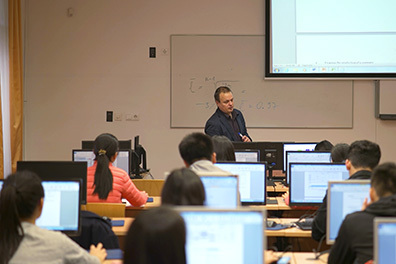 PHD programs are also available in its 19 doctoral schools. The University of Szeged is an internationally top - ranked institution, so it was inevitable to create their video representing education in the institution. Furthermore, the video publicizes and introduces the institution's educational potential for the Hungarian and foreign freshmen. It was a really difficult task for us to introduce all the 12 faculties, the traditions, the three - level education, the training programs from the BA to the PhD, and all the 200+ departments of the university. Our job was to introduce all these fields and to convert them into a video. It starts with the same intro, which we used in our project presenting the university’s research potentials. The photos and videos are meant to introduce the university’s atmosphere and education. Our video features only one character: his way is shown from attending the lectures, till the graduation ceremony. As the University of Szeged has a growing presence on international level, it was obvious to prepare the video with an English voice cover. Finally, we decided to back up the video with animated sidebars, presenting the results and most important data about the university on them. We prepared the animations together with the Missing Cloud team and its music was created in Black Hole Sound Studio. To serve the content, we broke up the data of the sidebar into 5 parts, the certain sections of the video are in line with these. For the data found in the sidebar - 25.000 students, 13 faculties, 19 doctoral schools, dual education, more, than 500 connections worldwide, etc. 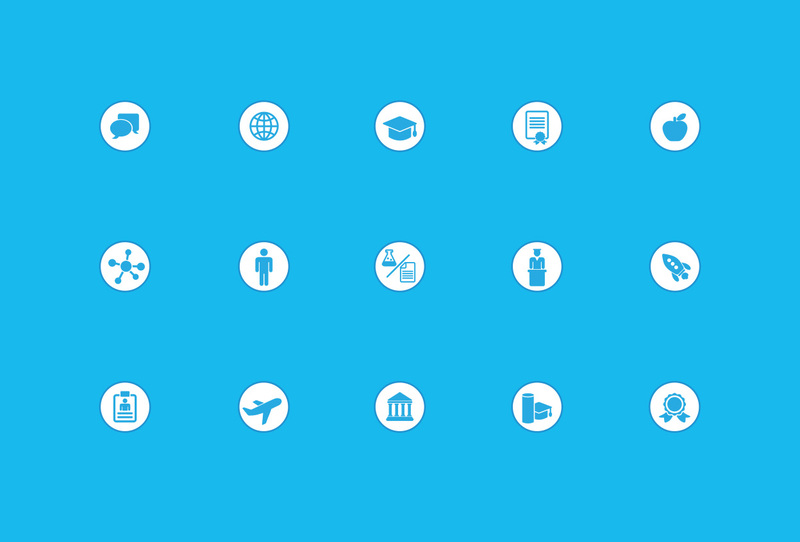 - we created unique flat icons with the same coloring as typical of the university’s identity. So, with this solution we could visually present the most important information about the university. 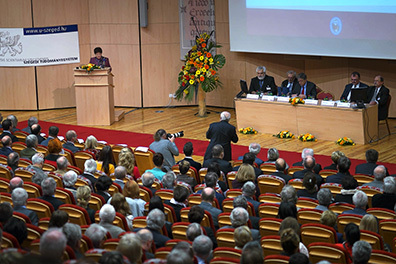 Today, one of the biggest challenges for the University of Szeged is to keep up with the international competitiveness. In order to reach this goal, they intend to approach each and every potential SZTE students on every platform. Our videos are not only presented when the dean of the university meets their business partners, but are displayed at international exhibitions, at graduation ceremonies, and other university - related events as well. These are important not only for the potential students, but also for the active-, and the graduated students.